An artichoke plant, which can spread into a silvery green fountain up to 6 feet across, makes a bold, handsome addition to any garden. Best of all, perhaps, this gem of a vegetable can be grown much more easily and in a wider range of climates than you might expect. In zones where artichokes are perennial, select your site considering that plants will be in place for up to 4 years. 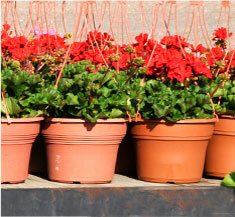 Give plants room to spread, since mature plants can reach 4 to 5 feet tall and 3 to 4 feet wide. Artichokes thrive in full sun to partial shade. They also need light, fertile, well – drained soil – sandy or loam is ideal. Prepare the soil by working 5 inches of Blessings Blends OMRI-Listed Premium Compost into a trench 8 inches deep and equally wide. The annual types can be overwintered if you live in warm climates just like the perennials. Plant artichoke seedlings atop the amended soil, spacing plants 4 feet apart. In zones 6 and colder, you can plant artichokes more closely, 2 to 3 feet apart, because frost will prevent the plant from reaching its mature, established size. 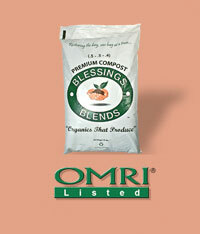 Apply Blessings Blends OMRI-Listed Premium Compost (.5 – .5 – .4) for best results.. Keep soil moist throughout the growing season. Unlike asparagus, another popular garden perennial, artichokes will only produce a harvest for 3 to 4 years so you will still need to start new plants every few seasons in order to maintain a steady crop.